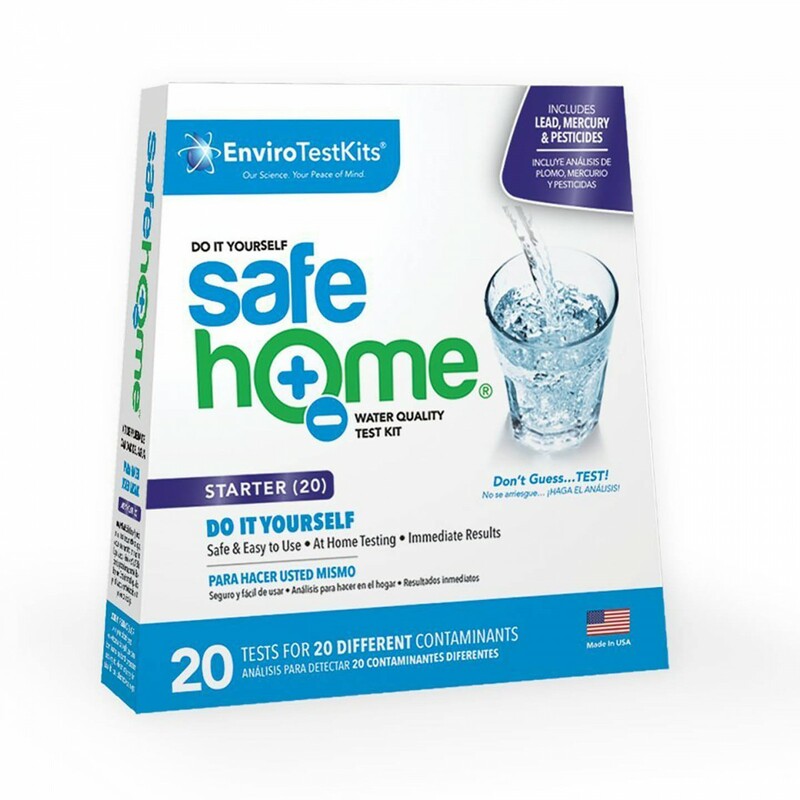 The 20 Panel Water Test Kit by Safe Home is your reliable home water test to determine the presence of common contaminants in your water. 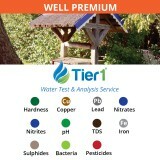 This fifteen contaminant testing package allows you to test for Iron, Copper, Nitrate and Nitrite, Sulfate, Total Dissolved Solids, pH, Total Alkalinity, Total Chlorine, Total Hardness, Hexavalent Chromium, Free Chlorine, Zinc, Chloride, Bacteria (including E.Coli), Mercury, Silver, Phosphate, Pesticides, and Lead. 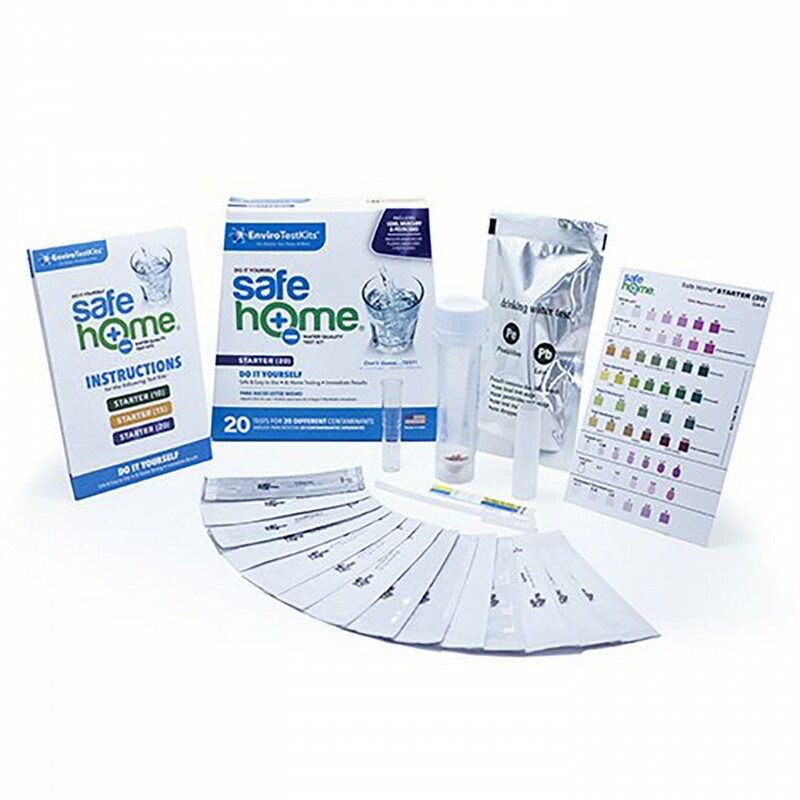 With easy to follow test instructions and distinctive color coded result charts you can complete this test in a matter of minutes from your own home. 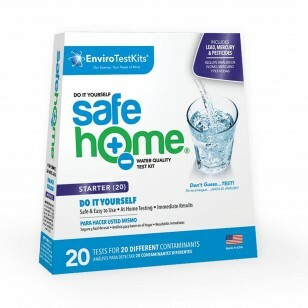 Ensure the safety of your home water with the 20 Panel Water Test Kit by Safe Home today! 1. 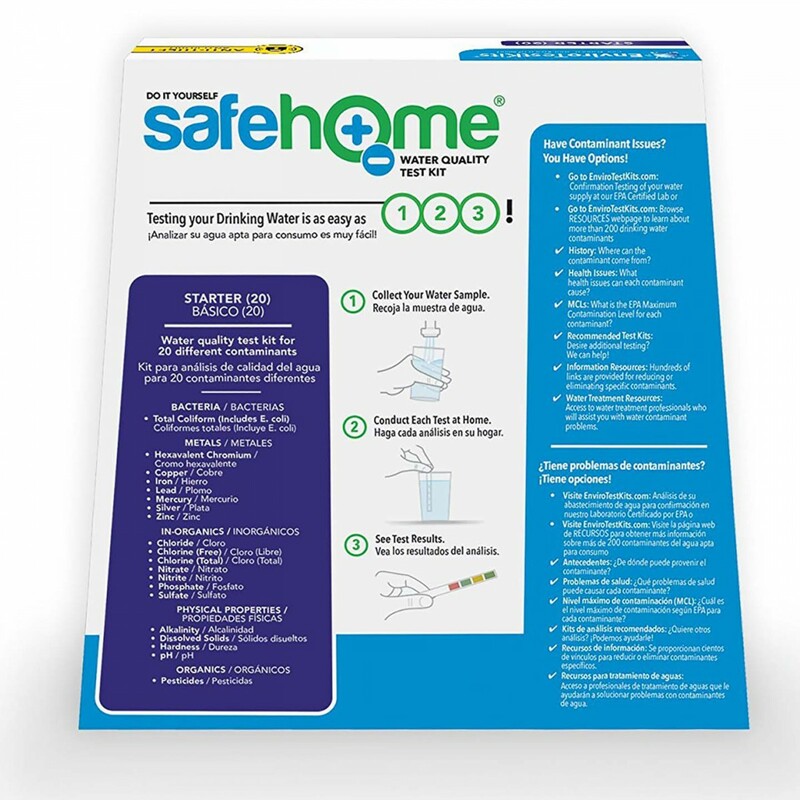 For each test reference the provided instructions booklet for individual test directions. Note: For Iron and Copper tests, after removing the strip from the water, fold the strip at the midpoint back and under the aperture for a white background and more accurate color reading. 2. 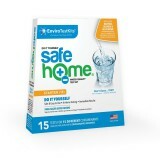 Draw one cup of fresh water for each test (do not reuse the same water for multiple tests). 3. 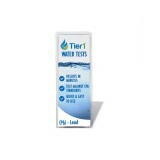 Dip one test strip at a time in the water for the specified length of time as listed in the test instructions. 4. Follow motion instructions while strip is partially submerged. 5. 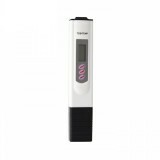 Remove test from water and remove excess water, when specified, with one quick shake. 6. 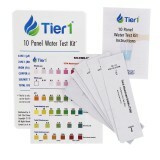 After listed wait time, compare test strip to result chart within the time frame instructed (Do not wait for test strip to dry). 7. Record value matched by the result sheet for future reference. 8. Repeat process until all tests are completed.